Time-Triggered Ethernet (TTE) Network is a communication network which combines the time-triggered traffic and event-triggered traffic. Based on network calculation, the adopted model in TTE considers the worst case which assumes a number of traffic simultaneously arrive at a node and each virtual link work is fully loaded. Such assumptions lead to the analysis of a certain RC data flow’s delay performance obsessing too much pessimism. 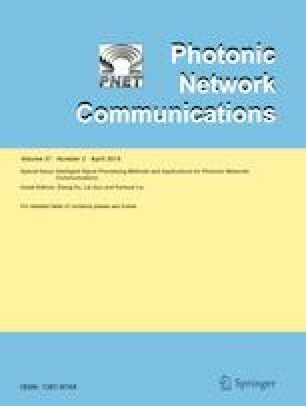 In this paper, based on the partition scheduling model, we introduced the loss packet period of the time-triggered data flow \( p \) and the correction parameter of rate-constrained (RC) data flow \( \mu \) and then optimized the model of service curve and arrival curve of a certain RC data flow. The delay performance of RC data flow is analyzed under proposed optimized model. Simulation results verify that our optimized model relieves the pessimism on delay analysis. The smaller the \( p \) value is and the larger the \( \mu \) value is, the stricter delay bound can be obtained by our optimized model than by the traditional model. According to the optimized delay analysis model, the scheduling table can be better rearranged and the system resources can be used reasonably.